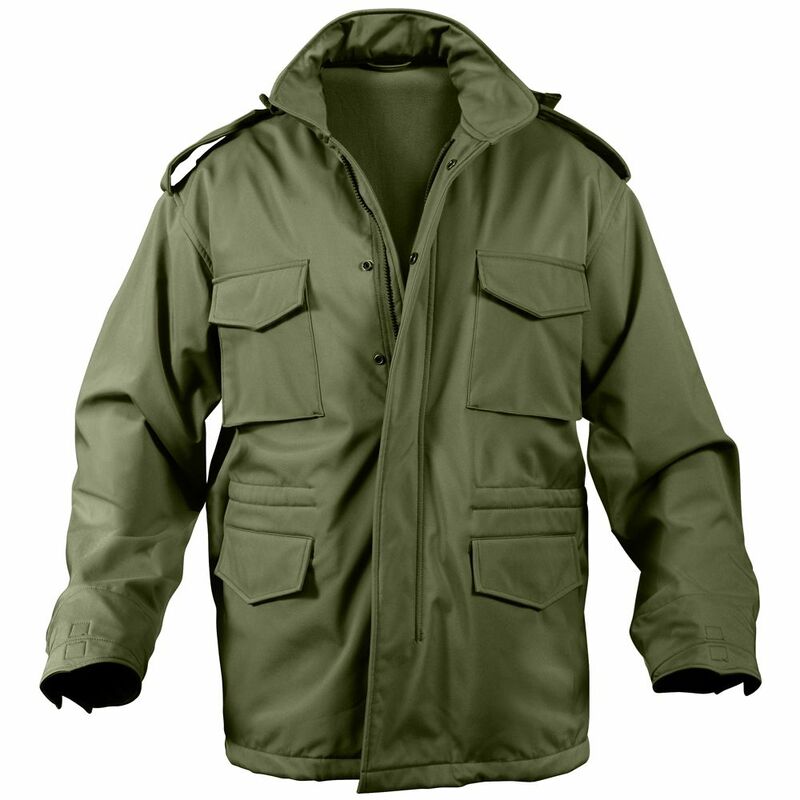 Mens Soft Shell Tactical M-65 Jacket combines elements of two great military jackets into one; the jacket features the style of the classic M65 with an update tactical soft shell fabric. The jacket is durable, lightweight & breathable, and has a waterproof shell. 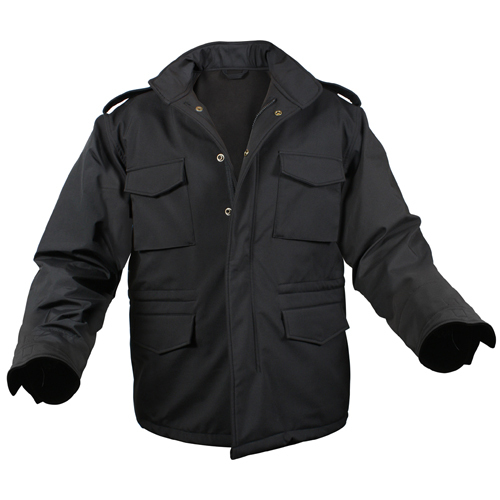 In addition, the 3 layer construction reflects wind, wicks away moisture and retains body heat. Additional features of the jacket include a concealed hood, zipper front w/ snap-up storm flap, 4 snap-up pockets, epaulets, hook & loop wrist cuffs for attaching gloves, and drawstring waist, hood & bottom.